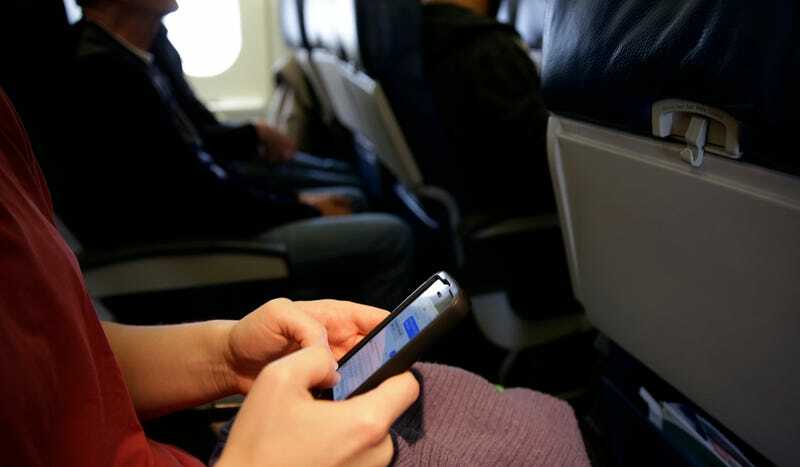 Ever try using a "dating app" on a plane? You can now that there's wi-fi, but why would you? Don't you just want to go to sleep and not bother anyone? I do. But for those who just have to meet someone on a plane, there will soon be a solution called Wingman. Wingman is the creation of a 24-year-old Gabe Whaley, who told The Daily Beast, "This isn't my attempt to resolve some former incident where I didn't get to meet the girl of my dreams." Why he thinks a packed flight full of restless, sometimes screaming people is a good place to meet the love of your 5 minutes is unclear to me. Actually, the website, which is coming soon a long with the app, gives some reasons why frequent, possibly lonely, air travels need this in their lives. Right, it's just that second part that will be awkward as hell. And these days you only have like 30 minutes on a flight where the Fasten Seatbelts light isn't on. Is one of the fields in the profile set-up going to be how quickly you can leap out of a seat to meet a "connection?" I have no idea what it will do for someone as aroused as the woman on a Delta flight recently. It might be best to keep your profile pic as a tree or beach or something to start off. Or keep your seatbelt fastened at all times.